Waw! Just Waw! Rangers chris and Dave were amazing and so professional! They clearly love their job! 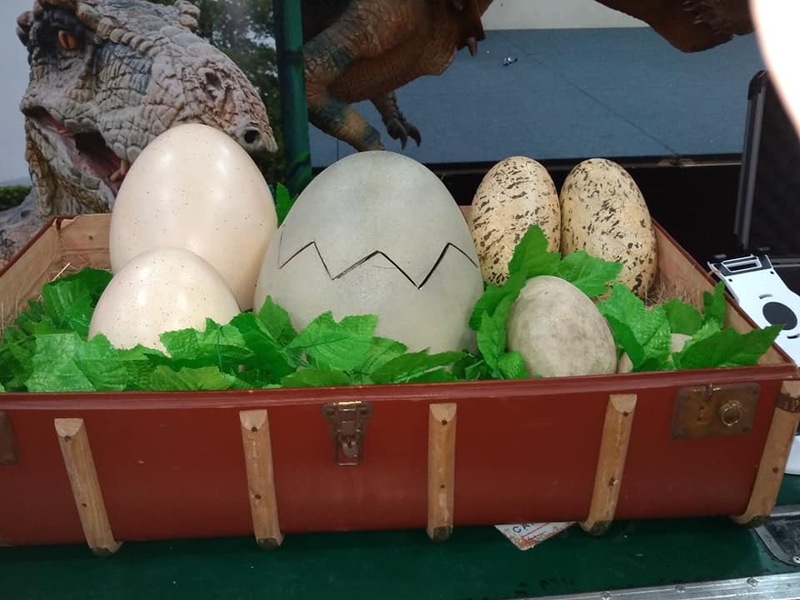 They arrived with plenty of time to spare and brought in the baby dinos for everybody to meet, then, the grand entrance of Ronnie! 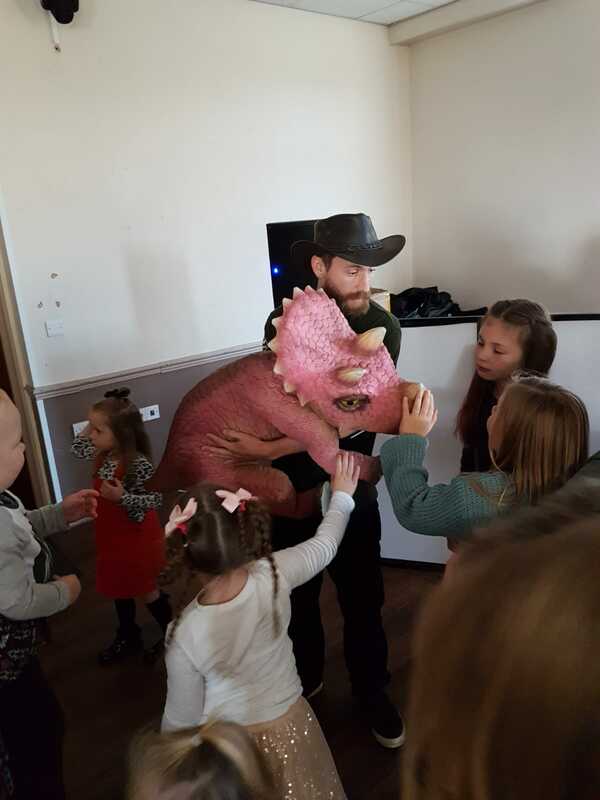 Well, the children screamed but were sooooo excited to see him :-)Our 5 year old was super excited about the dinos coming to visit him on his birthday! 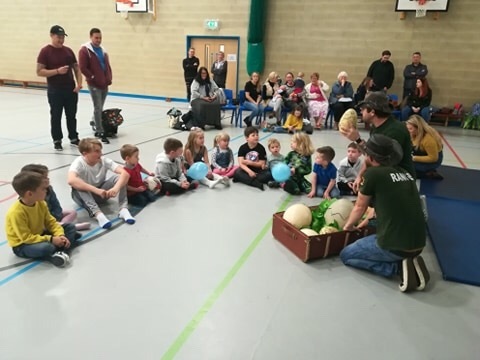 Everybody had a ball, children and adults alike! 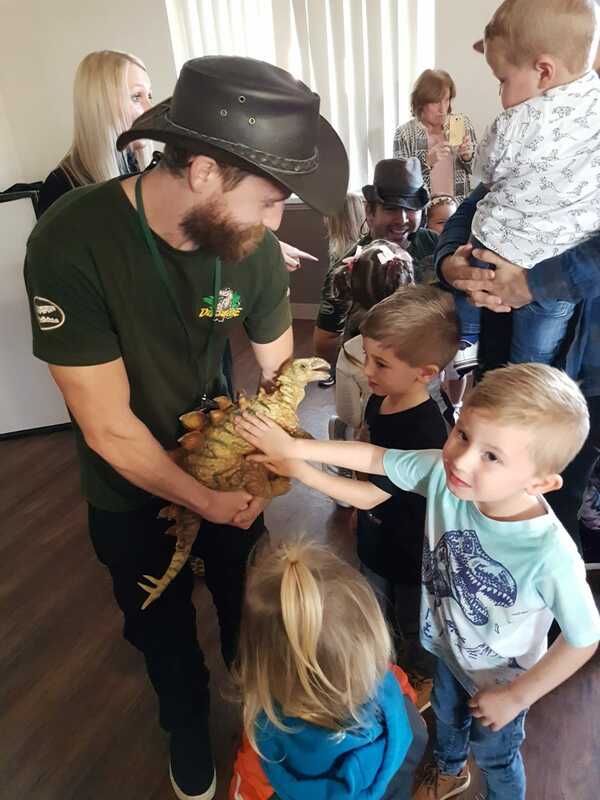 Even the human babies loved the whole experience!we are hoping that our youngest will love dinos just as much as our eldest so that we can meet again :-) he heThanks again for an amazing time!! Took my son to see these for dinosaurs in the jungle in Swansea plantesia & they were brilliant. My son has learning difficulties & they made a point of listening to him so he didn't feel left out & he thoroughly enjoyed it. Cant rate these guys high enough. 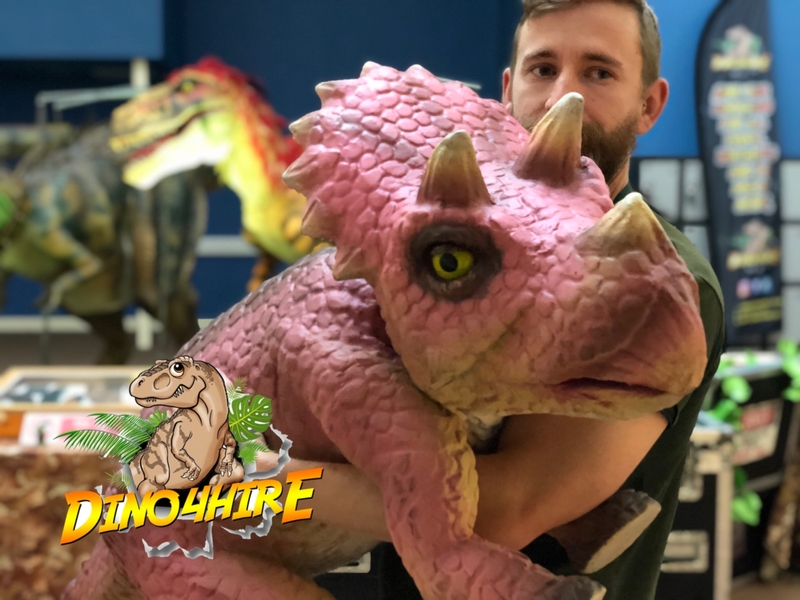 So you are a bit worried our large dinosaurs are a little to scary for your younger children then we have put together this amazing baby dinosaur package. 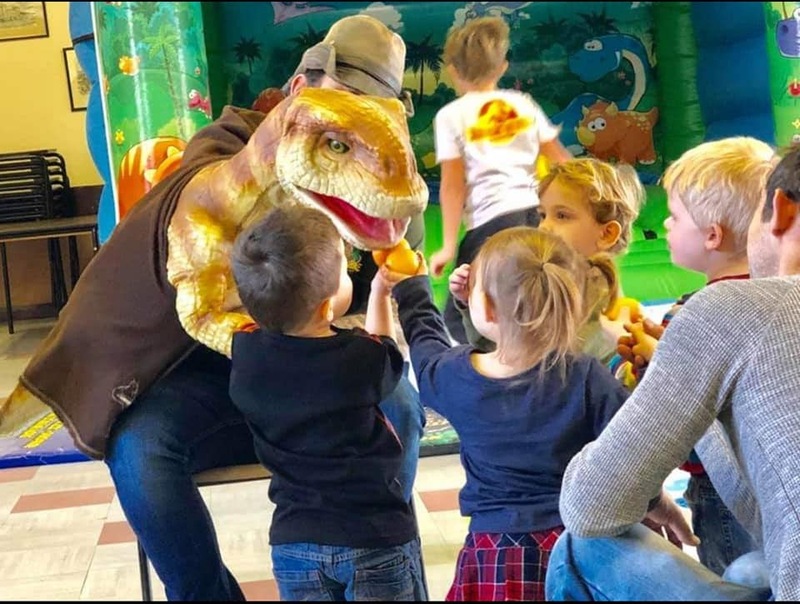 This is a great way for any age dinosaur fan to meet some amazing dinosaurs and will really make their dreams come true.